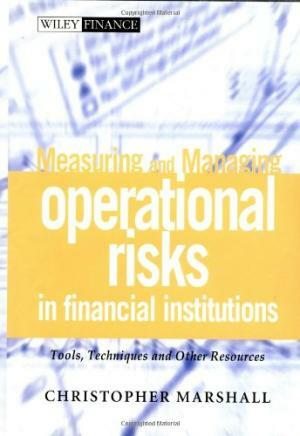 245 1 0 %a Measuring and managing operational risks in financial institutions : %b tools, techniques, and other resources / %c Christopher Lee Marshall. 260 %a Singapore : %b John Wiley & Sons, %c cop. 2001. 300 %a XIV, 594 s. : %b rys., wykr. ; %c 24 cm.